Central School PTO / 2018-19 / Charleston Wrap Sale Is On !!! Charleston Wrap Sale Is On !!! 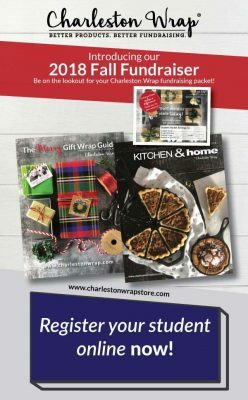 Our Annual Charleston Wraps fundraiser launched this week and your help is essential! But only if we can count on the participation of families like yours! The proceeds of every purchase will make a BIG difference in our fundraising efforts this year. Our fundraising sales only last a few short weeks! So do these things today and let’s get our momentum going! 2. Invite friends and family to shop and support our students. 3. Look out for the catalog packets, which came home with your student earlier this week! 4. Send your student to school with their completed fundraising coupons, once they’ve started selling! They can earn ZOO Crew keychains and chances to win other prizes!! !